The Weinstein Company has launched the first trailer for the upcoming drama, The Giver, starring Meryl Streep and Jeff Bridges. Directed by Phillip Noyce and starring Jeff Bridges, Brenton Thwaites, Meryl Streep, Katie Holmes and Taylor Swift, The Giver adapts Lois Lowry's modern classic of young adult literature. The story centers on Jonas, who lives in a seemingly ideal, if colorless, world of conformity and contentment. Not until he is given his life assignment as the Receiver of Memory does he begin to understand the dark, complex secrets behind his fragile community. In addition, the studio has also revealed the official website for the movie at receiveyourdestiny.org. 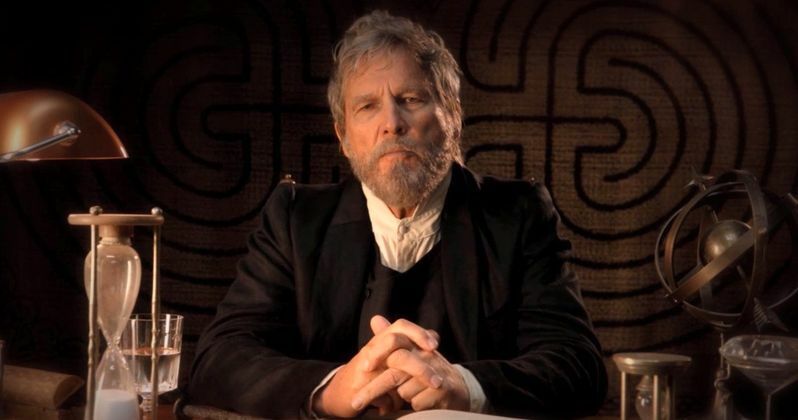 Check out the link for a special message from Jeff Bridges' character "The Giver".